You don’t need to spend a bundle on high-end home decor to give your bedroom that expensive feel. 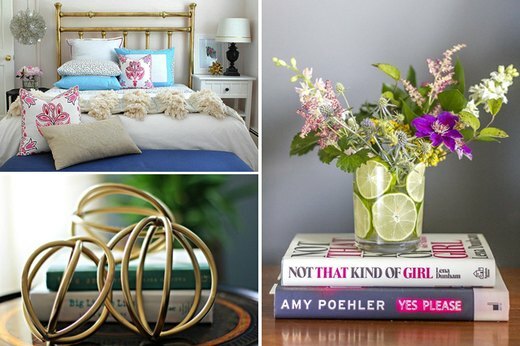 These stylish DIY ideas cost considerably less than their designer counterparts, and they’ll totally transform your bedroom into a relaxing retreat with luxurious vibes. Drape this gorgeous textured throw across the foot of your bed or over a chaise lounge to recreate the exotic elegance of Marrakesh in your bedroom. Although it’s traditionally handwoven, you can make your own by simply repurposing a readymade blanket. Even a cluttered nightstand needs perking up now and then, and this striking flower arrangement brings just the right amount of citrus-y appeal. 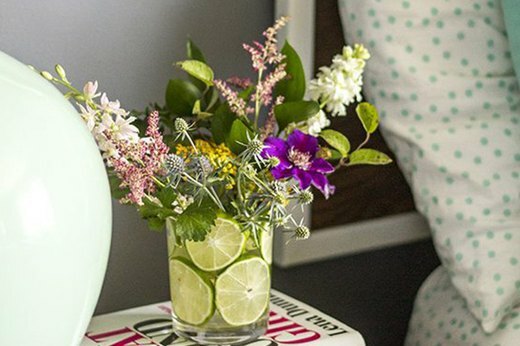 Arrange fresh lime slices in a vase and pop in your favorite flowers to create unique bedside decor that will have you feeling like you woke up in Capri. 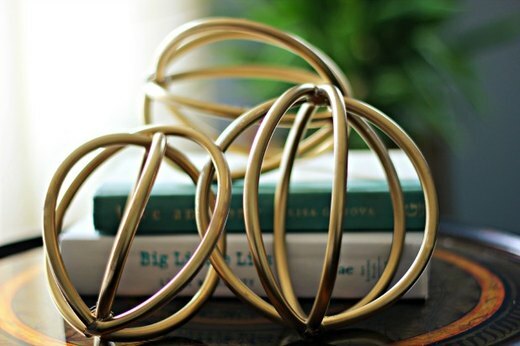 Amp up the glam factor with these gold sculptural spheres. Display on your dresser with books, knickknacks, and family photos to bring eclectic flair to a bedroom that's a little too staid. The best part? No one will ever guess you made these using vinyl tubing. Got a free afternoon? All you need is shaving cream and food coloring to create this easy handmade marbled paper. 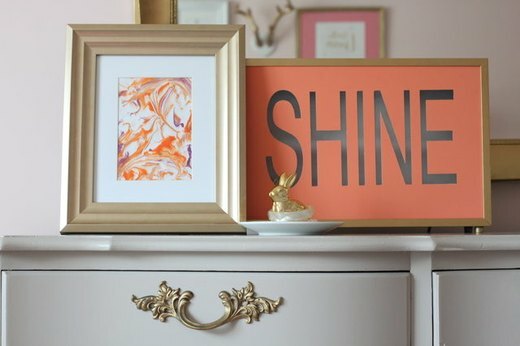 For a finishing touch, place your handiwork in a burnished gold frame to create instant wall art that's fancy yet frugal. 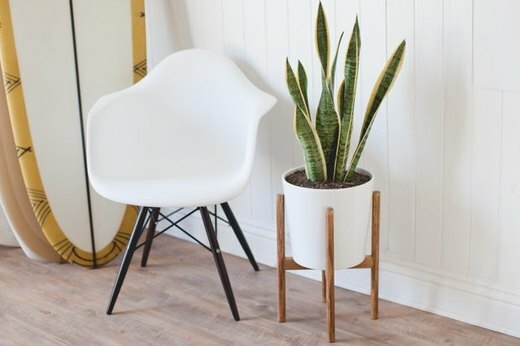 Less really is more when it comes to this chic planter, which adds the perfect touch of greenery to any minimalist bedroom. The good news is you don't need to be a woodworking pro to tackle this project. There's really no excuse for blank walls! 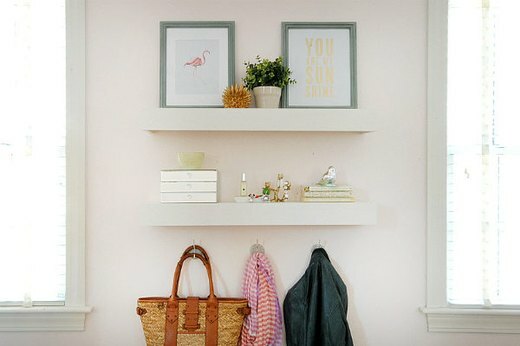 Breathe new life into your bedroom with simple floating shelves. Arrange fresh flowers and a set of tealight candles and you've got all the makings of a romantic night in. Ever tried making a mattress from scratch? That's what we thought. Know who has? 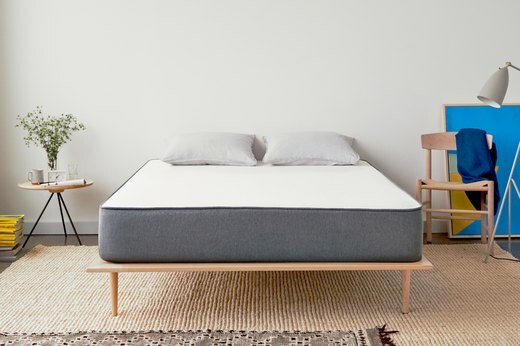 The folks over at Casper, who have poured every bit of their genius and expertise into creating an outrageously comfortable mattress that's supportive, comfy, and durable. The good news is, you can now get a $50 discount on yours by using the code EHOW50 at checkout.